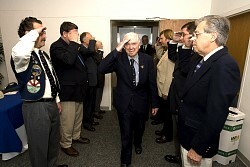 brower's Back button to return to main page. 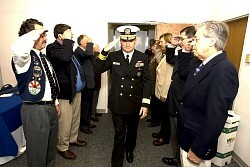 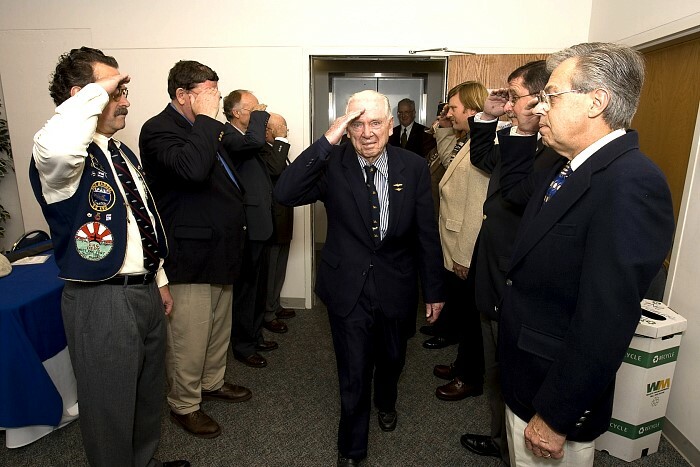 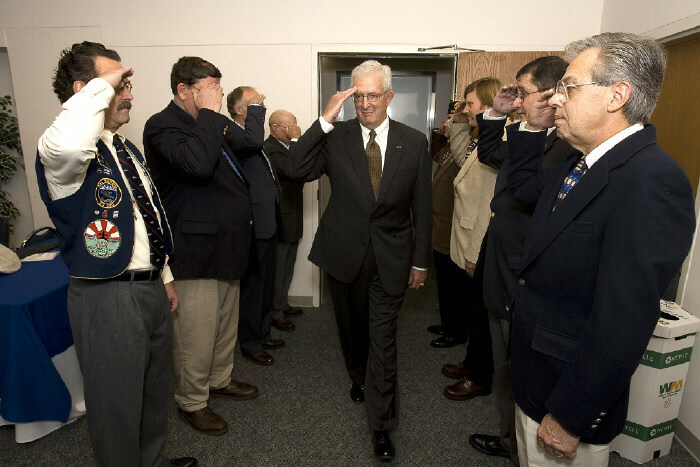 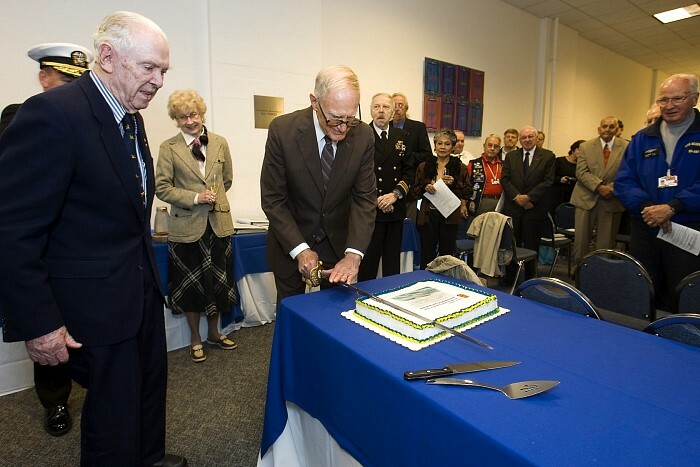 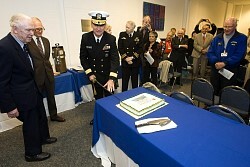 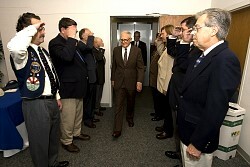 each arrival; and Senior Chief Boatsmain's Mate Michael VanDerSchaaf piped the side (listen). 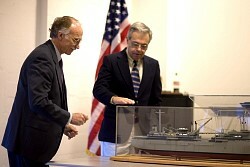 Everett Perry and Chuck Norris discussing the model before the start of the ceremony. RADM Barrett giving the opening remarks. 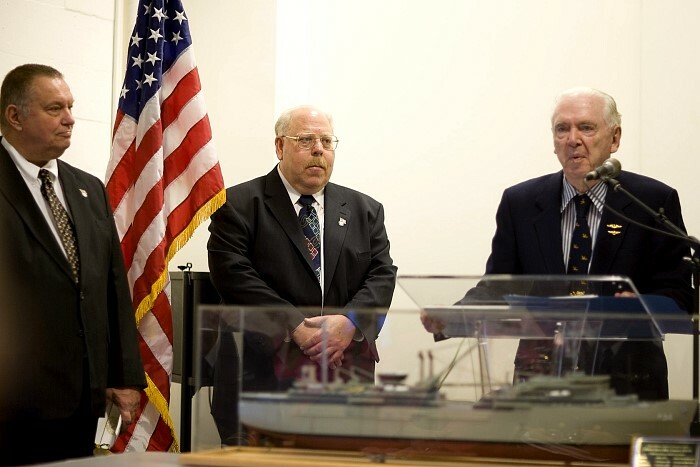 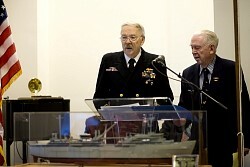 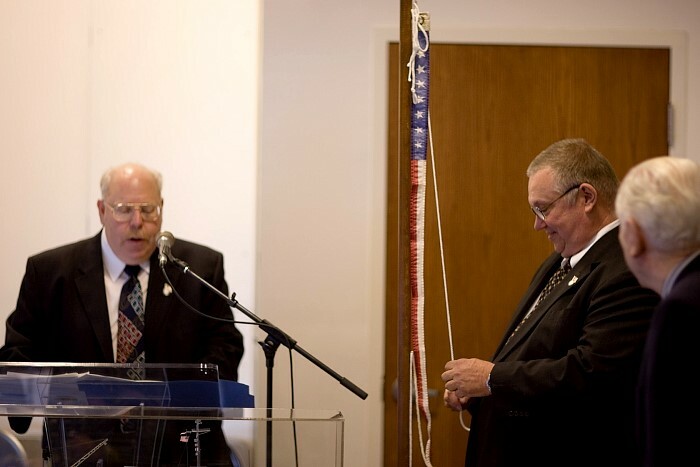 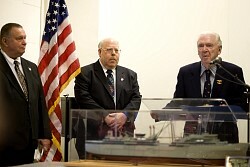 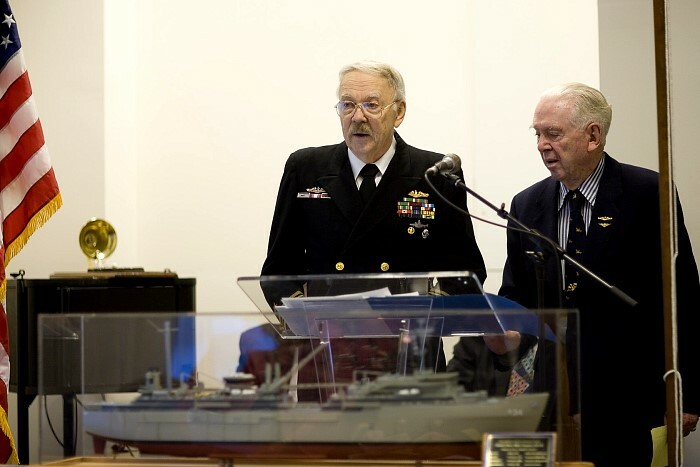 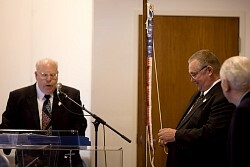 LCDR L. Stuart Taylor, USN Retired, and RADM Barrett reading the Commissioning Threads. 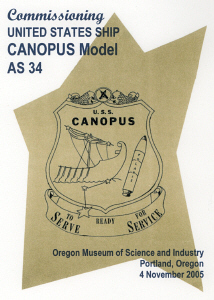 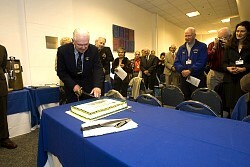 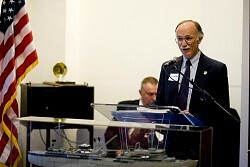 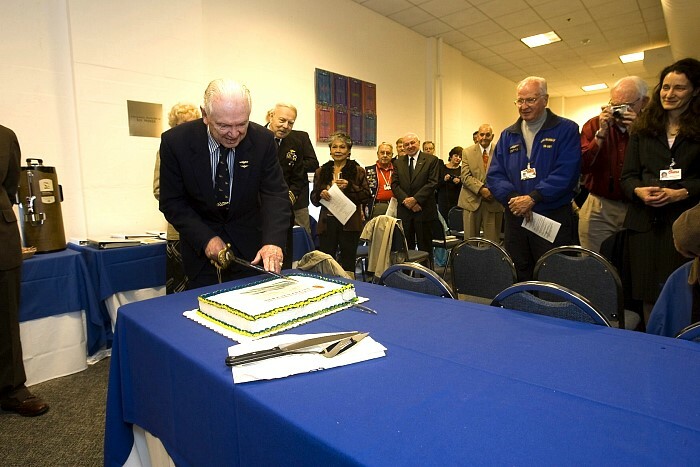 Historian Everett Perry gave the history of the Old Canopus AS-9. 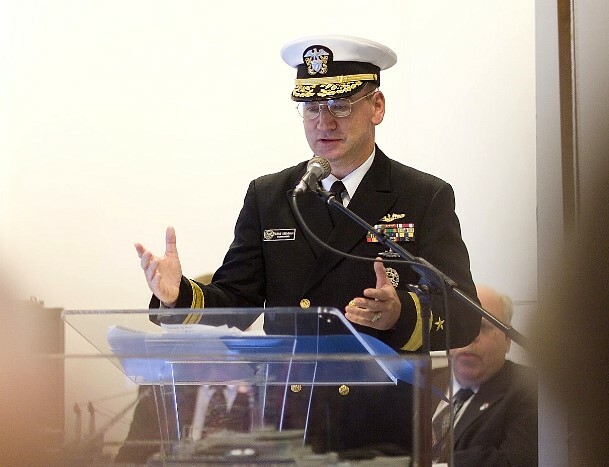 Remarks by RADM Drennan, Commander, Submarine Group 9. 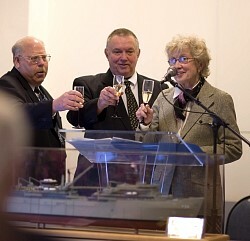 Joan Barrett, Sponsor, christened the model and led the champagne toast. 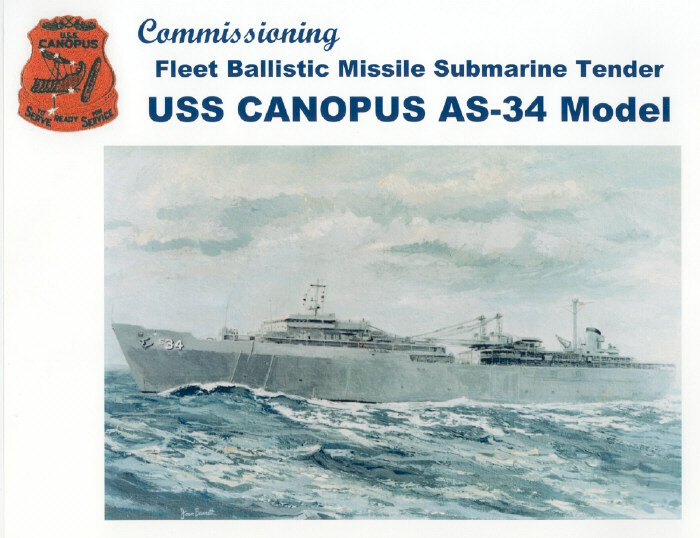 Setting the Watch: Raising the original Commissioning Pennant last flown onboard the Canopus on the day of her decommissioning, 7 October 1994. 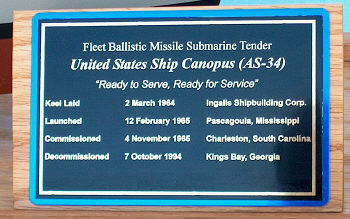 © USS Canopus Association inc.